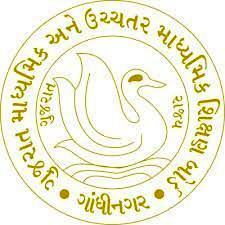 GSERB Secondary & Higher Secondary Principal Bharati 2017, GSERB Principal Recruitment 2017: Gujarat State Education Recruitment Board released recruitment notification regarding GSERB Principal Bharati 2017. Eligible Candidate may read all instruction well regarding GSERB Secondary & Higher Secondary Principal Bharati 2017 advertisement on its official website gserb.org. Gujarat State Education Recruitment Board published advertisement for filling in the available vacancies of GSERB Principal Bharati 2017. GSERB invite eligible and aspirant candidate for recruit Principal post. According to official advertisement of GSERB Secondary & Higher Secondary Principal Bharati 2017 applicant may apply through online mode. Online application start from 10th October, 2017 to 31st October, 2017 on its official website http://gserb.org/. About Gujarat State Education Recruitment Board: GSERB recruit eligible candidates in Secondary & Higher Secondary Department. Candidates who have essential qualification and looking for job in Education sector for them GSERB provide good opportunity. Gujarat Secondary Education Board declared Government Secondary & Higher Secondary Shikshan Sahayak Bharati Calendar 2017. Candidates who want to job for various posts in Secondary & Higher Secondary they can Apply Online on GSERB official website www.gserb.org. Candidates are advise to bookmarks this page and be regular touch on this page for get more latest updates about GSERB Recruitment 2017.